So you want to enhance your career. You are on a look out for what you can do to greatly impact your career path. Are there simple strategies that you can implement that can immediately have a positive influence on your career? If there are, what are they? 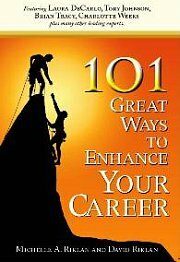 The answer is – yes, there are simple strategies that you can do in order for you to enhance your career. This is a self-reflective strategy. I refer to it as simple because you alone can do this. For as long as you are truthful with yourself then this is as simple as it gets. However, there is a word of caution. Nothing can enhance your career if you feel that there is not much you can improve on already. And while these strategies are simple, they can only be achieved IF you are willing to make that change. When it comes to attitude I have always championed that you can define your attitude as one of pride, passion and belief. In everything that you do, do it with pride, passion and belief. And remember to back these up with skills and knowledge, direction and action. Let’s take these further. To enhance your career, hardworking, humility and honesty is essential. Hardworking is fairly straightforward. It just means nothing comes easy. There are no rewards in the working world that comes without hard work. In fact, there is nothing in life that comes without hard work. Humility comes with maturity. When you know you do not know enough then you begin to be a student again. You will want to enhance your skills and knowledge, which will in turn enhance your career. Do you conduct your work honestly? How do you deal with your colleagues? Is it with integrity? Do you admit to your mistakes and not blame anyone for it? Honesty is not just about dealing with others. It is also being honest with yourself. Can you face your own ghost? Are you afraid to face your weaknesses without being defensive? Are you afraid to confront your lack of strengths? Being honest with yourself leads to an awareness. Step one to enhance your career is to define your attitude. An awareness of your strengths and weaknesses is a necessary step if you want to enhance your career. This awareness is one that is self-reflective. One that makes you feel a sense of inadequacy. This sense of inadequacy creates an intrinsic need for improvement. The energy generated from this awareness is a positive energy that propels you with the confidence to improve. 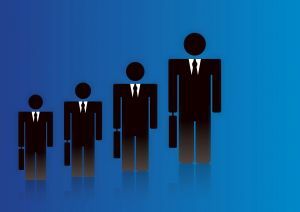 If you want to enhance your career, ask yourself - do you have this awareness? One that is clear about where you are, why are you there, where you can be and how do you get there? An awareness of the need to improve and an awareness of what you truly want is a simple strategy that can enhance your career. But how many of us can truly claim that we have this awareness? And how many can claim, with this awareness there is an action that works on it? Many sit around all day lamenting why are they not progressing? They feel unappreciated. Hard work is not being rewarded. Let me point out something. According to the Webster’s Universal College Dictionary - appreciate is to be fully conscious of; be aware of. If you want to be appreciated, start appreciating your strengths and weaknesses. Then only can you begin to talk about how to enhance your career. So, you have a positive attitude and a positive awareness of yourself. But do you act upon them? If you do act upon them, do you do it at a pace that is right for you? Knowing the pace that is right for you is all about self-awareness. There are two parts to this action, one is patience and the other persistence. Patience is about proceeding calmly or moving slowly with zero anticipation. No plans to enhance your career can be successful without solid action from your end. And solid action from your end means hard work. Which is the other part of action, one that is persistent. One that is doing incessantly or progresses with dogged determination. As you can see these are truly 3 simple strategic tips you can implement immediately that can positively enhance your career. Each is inter-related to another and feeds upon each other. If you can get it smoothly into motion there is no telling how far you can go. Asking For A Pay Raise – How To Prepare To Ask For A Pay Raise Looking for tips on asking for a pay raise but don't know quite how to do it? Here are some effective tips to prepare you to increase your chances. Are there simple strategies you can implement that can have immediate positive influence on your career? If there are, what are they?